Notre chroniqueur Jean-Marc Soboth sur les implications et les enjeux autour du nouveau président du Nigéria, la situation pré-électorale au Burkina et en Côte-D’Ivoire. 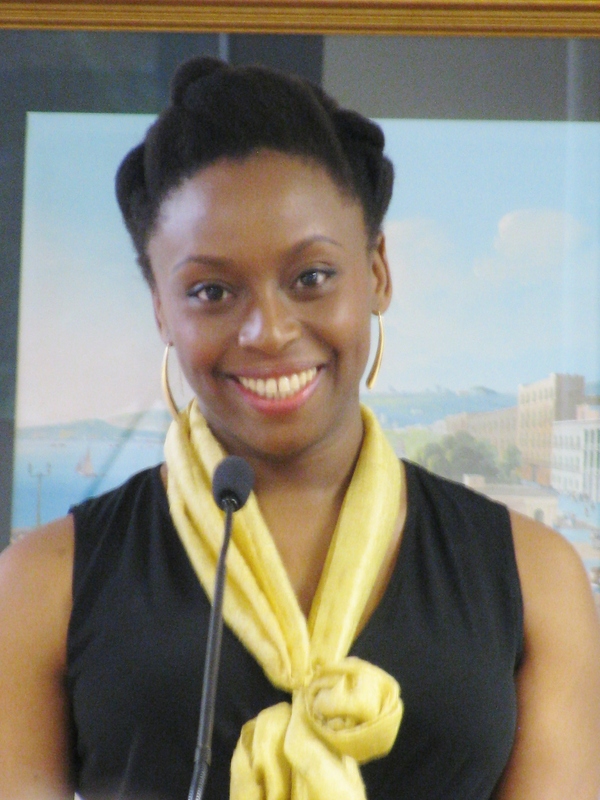 Award winning Nigerian writer published in 2013 her third novel, Americanah which was selected by the New York Times as one of The 10 Best Books of 2013. Amandla’s Kenya correspondent Zahra Moloo recorded her presentation in Nairobi at the end of November. David Lieber reviews Chinua Achebe’s recent book “There was a Country: A Personal History of Biafra”. Along with Amandla’s Doug Miller, he explores the historical context of the war and assesses Achebe’s work in the light of his personal involvement. The history of this war and the implications for Nigeria and Africa could have taken the whole hour. A must read for students of African history. Gwen Schulman takes a look a the case of oil spills coming from Shell oil fields in Nigeria. In this installment Doug Miller looks at the case of a Nigerian man who is being deported for having planned a coup against ex-Nigerian dictator Sany Abacha. A talk by Nnimmo Bassey author of To Cook a Continent. Environmental Rights Action (ERA), Nigeria and elected chair of Friends of the Earth International. He is one of Time magazine’s Heroes of the Environment 2009 and co-winner of the 2010 Right Livelihood Award (the Alternative Nobel Prize). 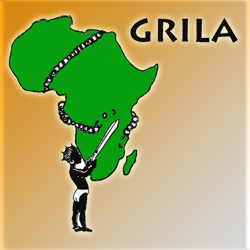 His books include Oilwatching in South America and Genetically Modified Organisms: the African Challenge. Selon une ONG britannique, le groupe pétrolier Shell a payé des groupes armés pour entretenir un climat de terreur au Nigéria, engendrant des dizaines voire des centaines de morts. A report out this week finds that Shell oil company routinely paid armed militants in Nigeria’s oil-rich Niger Delta, during a decade of killings and rampant environmental destruction. The study also charges that Shell Oil is complicit with the Nigerian government in the “systematic killing and torture of local residents.” Counting the Cost is the report and it’s released by the NGO Platform, a UK-based oil industry watchdog. We’re joined now from London by its author, Ben Amunwa. 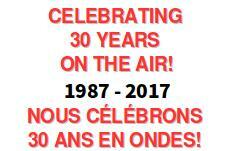 Voici les thèmes qui ont été abordés pendant l’émission Amandla du 12 décembre 2007 sur les ondes de CKUT 90.3FM (Montréal). Vous pouvez la télécharger ici (lien valide pour deux mois seulement). Description de la violence conjugale que vivent les femmes d’Afrique du Sud (par Gwen). Témoignages de sept femmes Sud-africaines qui parlent de la violence conjugale dont elles sont victimes. Vous pouvez visiter le site Genderlinks.org.za qui présente les témoignages en ligne (en anglais). Commentaires sur la situation de la grève des ouvriers de l’or en Tanzanie (par Gwen). Des ouvriers de l’entreprise Canadienne, Barrick Gold, sont en grève considérée illégale par l’entreprise. Cet événement coïncide avec la visite du Premier ministre canadien en Tanzanie. Ce dernier a rencontré les dirigeants de l’entreprise, mais pas les ouvriers, ni les groupes de citoyens interpelés par la grève. Le phénomène des “vidomégons” (par Moussa). Au Bénin et en Afrique de l’Ouest, des enfants issus des milieux pauvres et ruraux, sont donnée en familles d’accueil dans les villes afin d’avoir la chance de vivre sous un toit et de bénéficier d’une éducation en échange de travaux ménagers. Un système traditionnel bien implanté au Bénin qui permet de donner une chance de réussite aux enfants pauvres: les vidomégons (expression de la langue Fon au Bénin). Ce système, à cause d’une décennie de pauvreté aggravante au Bénin et ailleurs en Afrique de l’Ouest, se pervertit et devient un système d’exploitation, voire d’esclavage d’enfants. L’article d’Afrik.com: Bénin : les vidomegons, nouveaux esclaves urbains. Rumeurs: Ibrahim Babangida reviendrait au pouvoir au Nigéria (par Moussa). Reprise de la nouvelle déjà mentionnée dans ce blog. Here are the subjects that were addressed in the December 12th 2007 Amandla radio show on CKUT 90.3 FM (Montreal). You can download the show here (link valid for two months only). Description of the domestic violence South-African women have to endure (by Gwen). Testamonies of seven women victims of domestic violence. The testamonies can be heard online. You can download them at Genderlinks.org.za. The “vidomegons” (by Moussa). In Bénin, and elsewhere in West Africa, children from rural poor families are sent to foster home in the cities. It gives them the chance to live under a roof and benefit from an education provided by the foster family. In exchange, the child does cleanup work around the house. It is a tradition well embedded in Bénin and which gives an opportunity for poor children to have a chance in life. Hence the word “Vidomegon” used in Benin (it is a word from the Fon language, widely spoken in the country). Because of decades of deepening poverty in Bénin’s rural society, the system has become perverted. It turned into a child exploitation system and some even talk about slavery. An article is available at Afrik.com (in french): Bénin : les vidomegon, nouveaux esclaves urbains. Rumors: Ibrahim Babangida would come back and try to be elected Nigeria’s president. (by Moussa). It is news that’s already posted in this blog.